It has certainly been a busy week in the Grape Escapes office with the recent chaos in Calais, and we have received several calls from concerned customers who are due to cross the British Channel with Eurotunnel in the next few weeks. We are constantly monitoring the situation with regular updates from Eurotunnel, and we would like to reassure those of you who are travelling with us in the coming weeks that Eurotunnel trains are still running, albeit with delays of up to an hour for car passengers. With stress-relieving and blissful relaxation in mind, I have been looking at some of our favourite spa hotels for you, and if you happen to be looking for the ultimate luxurious escape to Bordeaux this autumn, the below special offer mauy well be of interest. If you are looking to experience the very best that Bordeaux has to offer this autumn and winter, look no further than our fabulous Exclusive breaks in the city. 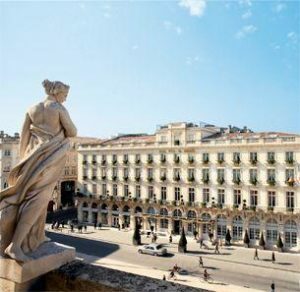 Based at the beautiful 5* Grand Hotel de Bordeaux et Spa, we offer a three day/two night and four day/three night luxury break, providing unique wine tasting experiences in a sumptuous setting. 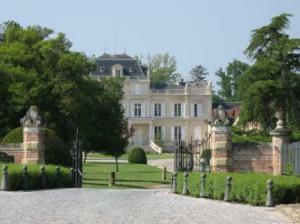 On day two (and day three on the four day break), you are met at the hotel by an English-speaking Grape Escapes chauffeur/guide, who will accompany you throughout the day on a private tour of the famous vineyards of the Médoc or Saint Emilion (or Graves and Sauternes) in a Mercedes S Class vehicle. 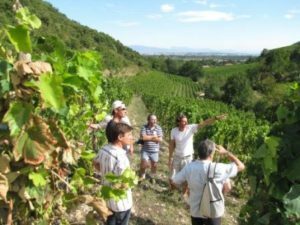 Guests are free to choose their preferred Châteaux for tours and tastings, and our Bordeaux specialists are of course happy to offer advice and make suggestions. The fine wining would not be complete without some fine dining, therefore the packages also include gastronomic dinners, to indulge your culinary desires. We are running a fantastic special offer on this package for travel between the 16th October 2015 and the end of March 2016. 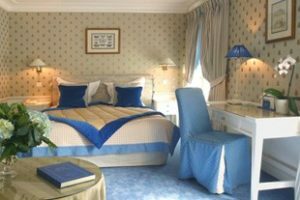 Book a Superior room at the Grand Hotel de Bordeaux and enjoy a third night free of charge at the hotel. For those booking the four day break, a discount of £150 per person can be offered if you do not want to take advantage of a complimentary fourth night. This means that with our early bird booking discount, a three night luxury package starts at just £855 per person! For further information about our our Exclusive Bordeaux breaks or to take advantage of this special offer, please visit our Exclusive Bordeaux page, give us a call on +44 (0) 1920 46 86 66 or send us an e-mail at info@grapeescapes.net. If like me, your idea of heaven is a weekend of pampering with a glass or two (ok, maybe three or four) of wine thrown into the mix, you may be interested in combining a wine holiday with a spa break. This, quite frankly, genius idea has really caught on in the European wine regions, and some hotels even offer something marvellous called vinotherapy, which are healthy spa treatments derived from Grape extracts! My personal favourite hotel which offers vinotherapy treatments from the Bordeaux innovators, Caudalie, is the stunning Marques de Riscal in Rioja. Not only does this property boast one of the most amazing architectures I have ever seen, it also produces world-famous wine. What more could any wine-loving spa fan want in a weekend? We offer a range of luxurious Rioja breaks here, and prices start at £568 per person. See our Exclusive Rioja page for full details. As many of you will already know, I have a particular bias to Champagne, as it is my favourite destination (and favourite drink! 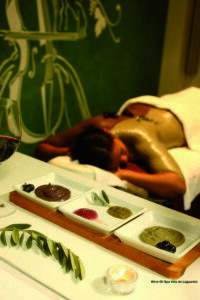 ), therefore it goes without saying that we also offer a spa break based in this region. The 5* La Briqueterie is a fabulously decadent spa hotel located in the vineyards, and our Champagne and Spa break includes two nights at the hotel with breakfast, a spa morning, a half day luxury Champagne tour and a Michelin-starred dinner. Prices start at £680 and detailed information can be found on our Champagne and Spa page. We offer wine and spa breaks in other regions as well, so feel free to get in touch on +44 (0) 1920 46 86 66 or at info@grapeescapes.net to create your perfect trip. To keep up to date, why not follow us on twitter to receive daily news? Our twitter name is @GrapeEscapes and you can also keep in touch by liking our Facebook page.